Your search for the best cover letter writing service is over, as DevMyResume.com is here to help you reach your career goals in no time. With our writing expertise and vast experience in the job search field, you will get the right tools for landing the position you’ve always dreamed about. 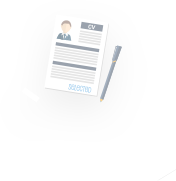 When thinking about the job application process, most job seekers think of a resume as a way for the potential employer to get acquainted with the candidate’s skills and experience and make the decision to invite the candidate to the job interview. However, a cover letter significantly maximizes your chances of getting that invitation. Since not every job seeker knows what a good cover letter looks like, we at DevMyResume.com launched a professional letter writing service. Anytime you see an attractive job opening, your first instinct is to reply to the posting immediately. Do you think you’re the only one who sees the posting? There are hundreds of candidates who are currently looking on the same job ad and sending out their resume. The employer will get hundreds of resumes, and once the HR manages goes over the first several dozens, they will no longer read every CV from cover to cover. This is why your application needs to stand out, and a professional-looking cover letter is the best way to achieve that. Crafting a persuasive cover letter on your own may be a tough challenge, since many candidates don’t know what they should talk about in their letter and have no professional writing experience. Luckily for everyone, you can get a complete range of writing and editing service at DevMyResume.com. Want your professional cover letter on time? People often say that your resume is the first impression a potential employee ever gets about you as a candidate, but the truth is that it’s hard to stand out with just a resume. In order to truly catch the attention of a recruiter, you need to include a cover letter in your application. For many job seekers, the art of writing cover letters remains a mystery, but today we are here to help you solve this problem with a cover letter sample for job application. With the professional covering letter sample created by our top writers, you’ll find out exactly what your own cover letter should look like. Don’t waste any more time on fruitless job search - check out these samples of cover letters right now! How is my letter crafted? Have you ever wondered what happens after you order a letter from a reputable writing service? When you first reach out to us and request our cover letter writing expertise, we begin a process, the result of which will be a letter no employer will be able to ignore. First we conduct a detailed interview with you to find out about your qualifications, experience, and other traits that you want your letter to reflect. We will ask you about your expectations from ordering a letter from our resume service. 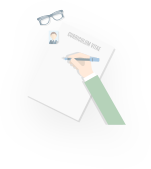 Then, based on your answers and your features as a candidate, we will assign the writer who is best suited for the job. We kindly ask you to provide as many details for your future letter as possible when ordering our cover letter writing service. Creating a good cover letter may even be more challenging than working on resumes, since resumes have a standard structure and requirements for writing, while cover letters don’t have a strict format and are meant to showcase why you make the best candidate. The writers at DevMyResume.com are not only native English speakers with a distinctive writing style and outstanding writing skills. They are also familiar with any cover letter writing and keep their hands on the pulse of the job market, which gives them an opportunity to provide individual resume services to each of our customers. There are many companies who provide similar services, but not all of them will deliver real results. The best way to make sure we actually deliver on our promise is to check the testimonials from our satisfied customers who have finally gotten their big break or successfully switched careers when they didn’t think it was possible. The proper structure, grammar, and language of our writing will definitely impress even the pickies employer. Ordering a paper from our company won’t take you more than a couple of minutes. Fill out the order form and add as many details and requirements for your order. Don’t worry if you don’t know what the finished paper should look like - our writers and editors can craft an ideal letter for every situation. Then you will work closely with our team, reviewing a draft and making sure everything goes according to your specifications. We guarantee 100% anonymity for all your orders - none of your information will ever make it our of our system. Plus, we offer a variety of payment methods that are known for their security. Ordering from our resume service will finally set you on the right course of your career starting with one little, but significant letter!